When life is murder, who can you trust? One minute Mia Quinn is in her basement, chatting on the phone with a colleague at the prosecutor’s office. The next minute there’s a gunshot over the line, and Mia listens in horror as her colleague and friend Colleen bleeds to death. Mia’s a natural for heading up the murder investigation, but these days it’s all she can do to hold her life together. As a new widow with a pile of debts, a troubled teenaged son, and a four-year-old who wakes up screaming at night, she needs more time with her family, not less — and working Colleen’s case will be especially demanding. But Colleen was her friend, and she needs to keep her job. So she reluctantly teams up with detective Charlie Carlson to investigate Colleen’s death. But the deeper they dig, the more complications unfold — even the unsettling possibility that someone may be coming after her. 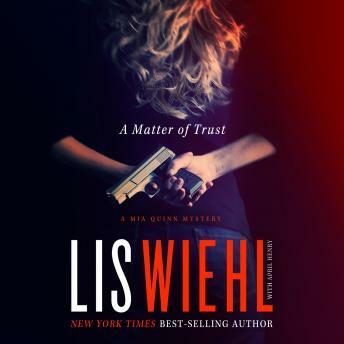 Lis Wiehl’s signature plot twists and relatable characters shine in this absorbing series debut . . .with an intriguing cameo from her best-selling Triple Threat series.